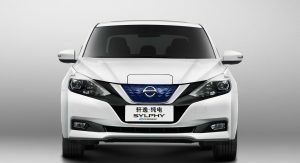 The curtain was raised at the 2018 Beijing Auto Show for the new Nissan Sylphy, the brand’s first electric car built in China for China. 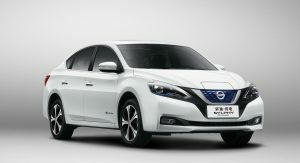 Based on the same platform as the second generation Leaf, it uses a zero-emission powertrain and lithium-ion batteries mounted under the seats, which provide it with a total driving range of 338 kilometers (210 miles). 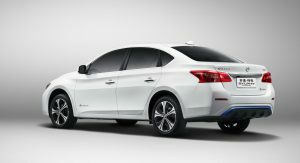 The range is based on the SMVIC cycle, so in real world driving owners are expected to cover about 200km+ (124mi+) in between charges. 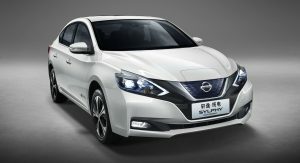 By comparison, the Nissan Leaf has a NEDC-estimated range of 378km (235mi), which drops to some 240km (150mi) depending on conditions. 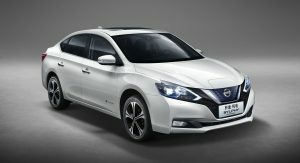 As revealed in a set of leaked images earlier this month, the Nissan Sylphy resembles its hatchback sibling at the front. 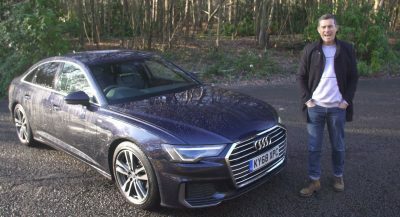 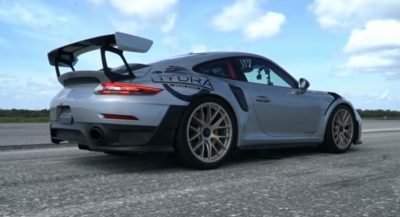 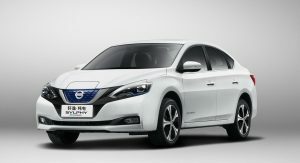 It gets similarly shaped bumper, V-motion grille and headlamps, “Zero Emission” badges on the lower side of the front doors and boot lid, identical wheels and blue accents to highlight its eco-friendly stance. 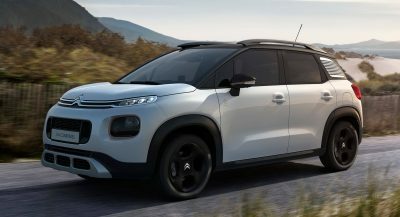 Most likely the interior will get a similar layout as well, with an identical infotainment system sitting in the middle of the dashboard. 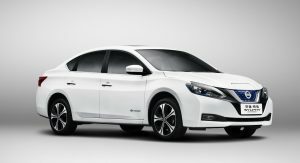 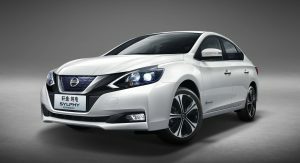 Nissan will launch the Sylphy EV in China later this year, where it will join other versions of the model powered by internal combustion engines. 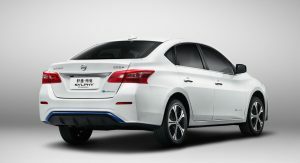 Alongside the Leaf, the Sylphy is one of the 20 electric vehicles that the company plans to launch over the next five years. 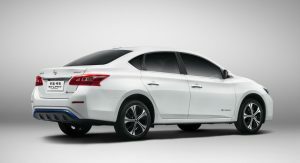 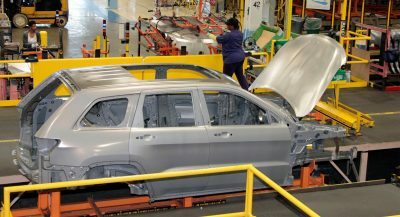 Is this basically a Sentra body on a Leaf platform? 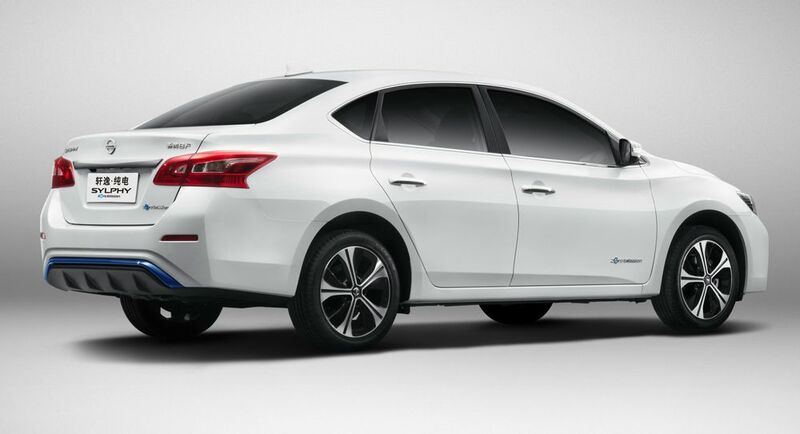 That’s literally a Sentra with some Leaf batteries shoved up its rump. 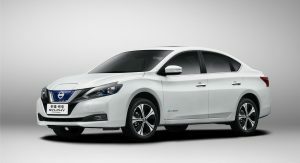 Sentra EV. 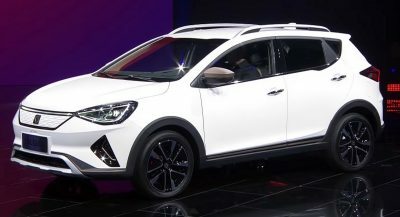 Why not just sell it here as well? 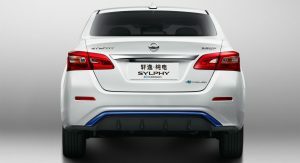 i’m all happy for their Syphilly. 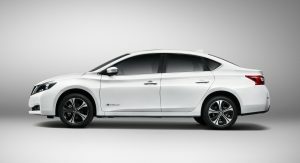 I kinda like it, I wonder how much this car cost compared to Leaf.